Hedge fund Jean Pierre Verster became rather famous when admitting that he’d made clients R100m by going short on Abil shares ahead of the micro-lender’s collapse. 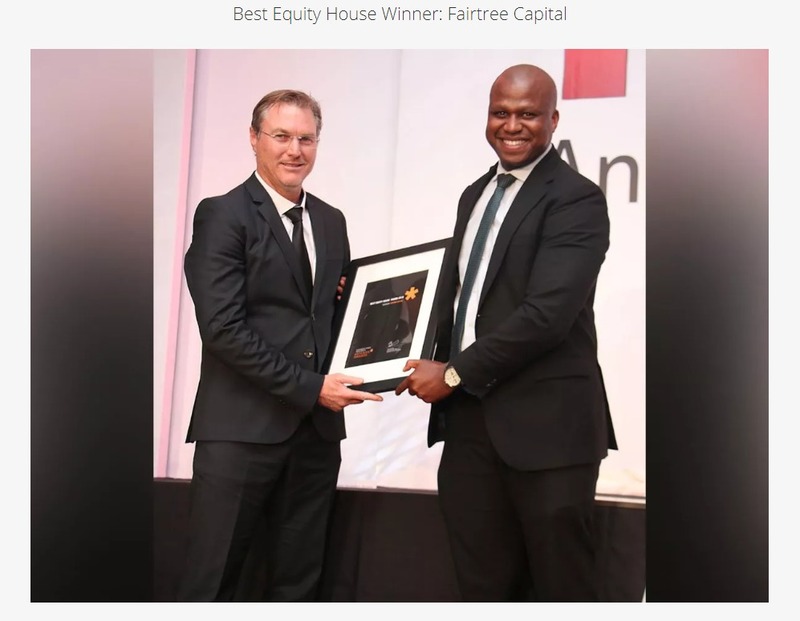 A few months back Verster parted ways with his long-time employer 36One Asset Management and like the EFF, is finding it pretty cosy outside his former home. He was in London last week to raise investment funds from major institutions. We met up for a chat where Verster shared ideas on where he’s investing now, the stocks being shorted – and how he reconciles a hedge fund career with his admiration for Warren Buffett, one of the industry’s greatest critics. Interesting interview have a listen.- Alec Hogg. Well, I’m in Starbucks here with Jean Pierre Verster who’s popped into London. What are you doing here? Yes, thanks Alec. Well, I recently joined Fairtree Capital and we were in New York last week and we’re in London this week to effectively roadshow the new fund I’ve launched with them, which is a South African focused long/short hedge fund and just to see if there’s maybe some international interest in it. If not this year maybe next year or the year thereafter once there is a three-year track record we think it could interest international investors which meant now is the time to lay the foundations and have the first discussion. That’s interesting stuff because last time we spoke you’d shorted ABIL, made a lot of money for 36One. I thought you were part of the furniture there. Oh, well I had a great time at 36One, I was with the team there for over six years and I’m still on very good terms with them, but it was time for me to head out more on my own in a business where I had equity, where I could build something for the next 50 years and I found a home at Fairtree Capital. I’m very happy there and excited about the future in terms of building out an investment product, if you want to call it that, or a fund which is not just something that could interest South African investors, but also offshore investors. What’s the reception been like in London? I would say reasonable, it is early days, so I didn’t expect that all of a sudden people were going to write out big cheques to invest, but there’s always an appetite for investments that do outperform and have exhibited outperformance in the past. So if you combine outperformance at a reasonable fee, I think there will be always be appetite and I’m hoping for that appetite in the next three years to emerge. You must have had quite a few people who’ve watched your progress over the years. Did you have a fund that you could show them though? Yes, correct. I’ve been managing a friends and family fund even before my days at 36One and that is a fund therefore where I could directly attribute that performance to my decision making, it wasn’t just as me part of a bigger team and that fund has done quite well, so at least I’ve had an audited track record that I can say, “This is what I did in the past with real money, plus I’ve been managing Fairtree segregated portfolio since June” to indicate that I’m not managing money for the first time, I have done this before. You’ll remember when we were in Omaha a couple of years ago; Warren Buffett was having a go at hedge funds, now you are one. How do you align or combine your views with a guy like Buffett, who I know you admire? Yes, I do admire his thinking and everything he’s written and said and I think quite often some people take sound bytes from what he has said and then make their own assumptions regarding the meaning of what he actually said and in the case of hedge funds, the meaning, as I believe it, in terms of what he said were two things. The first one is, “On average they will underperform” and secondly, “That they have too high fee structures” and I agree with both. So the first point is to try not be average. Average, by definition means only a minority will be successful in that and that is my challenge to generate above average returns and then secondly have a fee structure that’s fair so that people feel that what they’re getting out even after fees is still better than what they would elsewhere. 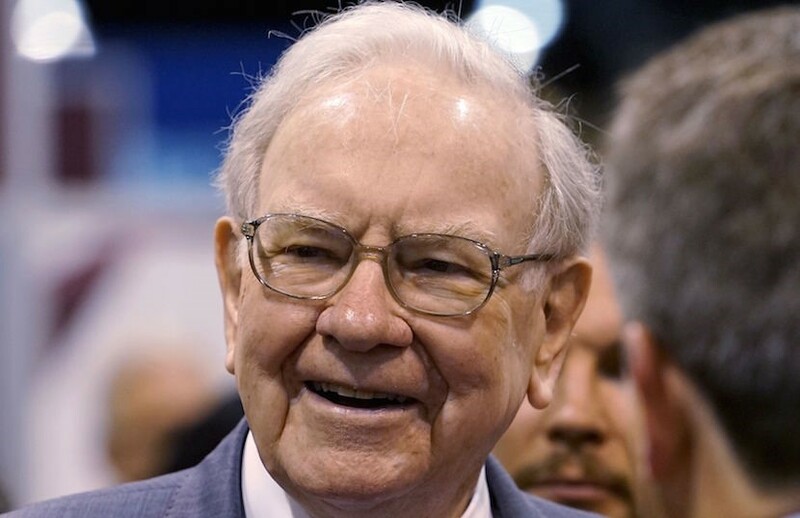 That is therefore my focus, which is quite agreeable actually to what Buffett then has said because he himself started a friends and family partnership and in that sense he did a lot of arbitrage transactions. He ran a hedge fund himself. Do you have a similar fee structure to what he had? Correct, yes. So we have a fee structure that’s quite traditional in the SA market, but for early investors we have finder’s fee structure where you effectively only start paying fees above the cash return. So for those who come in early with relatively large amounts, its’ cheaper than an ETF till the cash return and then only do you pay a performance fee, which means that I can stand up against the passive investors who always find this easy to whip hedge fund managers with and tell them “Well, if it’s a cash return, it’s actually cheaper to invest with me than an ETF, which charges fees, (a low fee admittedly, but a fee from zero), while my fees for the finder’s fee class will only be from a cash level”, which is also very similar to how Buffett structured his fee structure when he started out. Well, that ticks one of the boxes. The other one is where to now because there’s a lot of difficulty that most people have in reading this investment field, then you get back to South Africa where one quarter the Rand is the best performing currency in the world, the next quarter it’s the worst. It’s a very tricky period and my way of managing money is also to refer high quality companies with high barriers to entry, high returns on capital and to be sure it’s companies that have low returns and don’t have pricing power, which meant that this year has been particularly tough for any investor who follows that approach because it’s been the commodity companies have become so cheap in December and January and rebounded from those low levels and doubled and that’s where the returns have been, versus good quality companies which actually have underperformed in the market. So this has been a tough year for investors, who I think follow the right approach, the correct approach, it just hasn’t worked in the short-term and that’s what keeps it interesting where if it worked all the time everyone would do it, but of course you have these bouts where it doesn’t work that keeps the competition at bay. So I feel comfortable knowing that at some point the wheel will turn again and quality will shine through. How are you seeing it though, how are you reading starting off with South Africa? I think in South Africa firstly we have a very internationalised stock exchange actually. More revenue is generated outside of South Africa than within South Africa if you look at the aggregate revenue of companies that sit on the JSE, so I look at South Africa from a political perspective and a domestic perspective with interest, but actually my view is to say “Even if you are a South African investor, look more broadly, look more globally, there’s a lot more choice out there”. So in South Africa, I think financials are quite cheap at the moment, to a large extent a possible credit downgrade has been priced into those shares, but I’m finding more opportunities outside of South Africa than within South Africa. Are you allowed to take a big chunk of your assets offshore if you, say for instance raise them here in London or in New York? 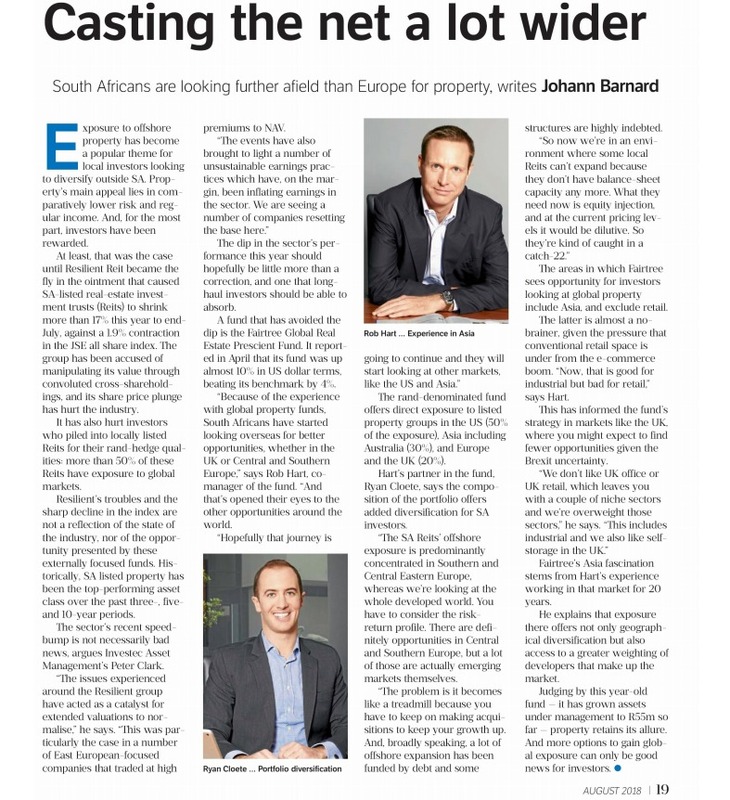 Yes, if it was an SA domestic fund, you can take up to 25 percent offshore, but we’ve structured a Cayman Island structure for international investors that for now will have the same split between SA and non-SA, 75 percent SA/25 percent non-SA, but the idea is in the next two to three years to spin out 25 percent as a standalone fund, which should be 100 percent non-South African shares and that could be a product that could be interesting for South African investors who want non-South Africa exposure and global investors who might not feel comfortable allocating money to someone sitting on the southern tip of Africa but is more comfortable with a global product. That is the direction in which we are moving. In South Africa for now, but travelling quite extensively to meet with management teams of companies domiciled somewhere else, so a bit more travelling coming up for me in the next few years. Are there any South African companies given that you’re now looking more globally that are doing well on the international environment, do we see a mixture of views about Steinhoff? It’s of course extremely aggressive in its acquisitions. Naspers keeps shooting the lights out, but are there any that jump out at you? Yes, the likes of the companies that you mentioned. 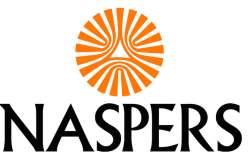 I think Aspen is quite interesting at the current price of just at around R300 per share. We’ve heard there’s murmurings now of competition issues in Italy, but they’ve really internationalised their business successfully, a great management team, great allocators of capital and really starting to carve out niches for themselves in the global farmer market. Famous Brands has made a significant acquisition in the UK, Gourmet Burger Kitchen, which looks quite interesting and they’re starting to internationalise their business. So there are a few pockets of excellence I would say of quite exciting offshore expansion of SA companies. What Naspers? I know it’s been one of your favourites, certainly of when you guys were at 36One together, it was a stock that’s done then very well. Do you still like it now? I do still like it and there are two ideas floating around regarding Naspers. The one is if you still exclude Tencent trading at extremely cheap levels where Tencent, the value of the investment in Tencent is more than 120 percent of the market cap of Naspers, so you’re getting a discount of Tencent and the rest for free. So that is still one narrative around Naspers. The second narrative is now finally they are starting to monetise the non-Tencent bit. They’ve done a few transactions in the last week merging the Indian travel operations and selling their Eastern European e-retail operations, so there is more focus on the non-Tencent bit, but at the same time I think that one can’t get away from the fact that Tencent has been one of the best investments of all time, if you look at the 30 odd million Dollars they put in to the trillion Rand plus that it’s worth now. So they probably won’t find another investment like TenCent and it has done two very important things very well, becoming dominant in PC games and then becoming dominant in the mobile world with Weixin and I think the jury is out whether they can be successful a third time to such a large extent, so still bullish Naspers, but not as bullish as we have been in the past. If you take your portfolio, the structure of your portfolio, because this is brand new, I suppose you don’t want to give all your secrets away, but today’s investors, what would they be getting a slice of? Firstly, my approach is one that, and it’s in the US I heard this term, is quantamental, implying a combination of quantitative analysis and fundamental analysis and through that it means that I can build portfolios that are quite diverse because I’ve automated the number crunching part of the process and therefore I can have a portfolio that doesn’t have concentrated positions. I have around 80 shares in the portfolio and it does mean it gives a smoother return because I’m going long and short and I have a number of Britain positions. So what investors are getting is a smoother return, than a long only fund. If I do this well it would be a higher return than a long only fund, but it’s the diversity of risks and of exposures, both South Africa and non-South Africa, so it’s something of everything. It’s not quite a Noah’s Ark portfolio but it is one that’s probably more diversified than most long only managers because I’ve automated a large part of the process, which allows me to have better breadth, but still keep the depth in terms of analysis. You know I always ask this question, what’s your number one long, and your number one short? The biggest long at the moment is Aspen. I think there’s a specific opportunity now as these concerns in Italy come to the fore and GlaxoSmithKline have sold their stake and some might be concerned that, that might be an indication from Glaxo regarding the valuation. I’m still backing Stephen Saad and Gus Attridge that they’ll continue to create value for shareholders. On the short side, the biggest short is, and by a nose, is Richemont at just under two percent short on the portfolio. It’s not a big position, but I still feel that if you look at the watch market, there’s a structural change where more people are wearing Apple Watches, smart watches and not showing off their wealth especially in China and that’s not good for Cartier, it’s not good for the watch and jewellery sales of Richemont in China and I see that as a structural change, not a cyclical change and therefore still short Richemont. You say by a nose? The second largest short is Pick ‘n Pay. Just on valuation it still has a turnaround story that the team is delivering on. In this week we saw the results of Pick ‘n Pay, strong bottom line growth. I just think that it’s already priced into the share. At a 25 times price earnings, it is asking a lot. Just to close off with, your relationship with the team at 36One, there were some talks about it being a bit of an acrimonious departure. Well, I think any divorce is uncomfortable, but we’re still on very good terms. 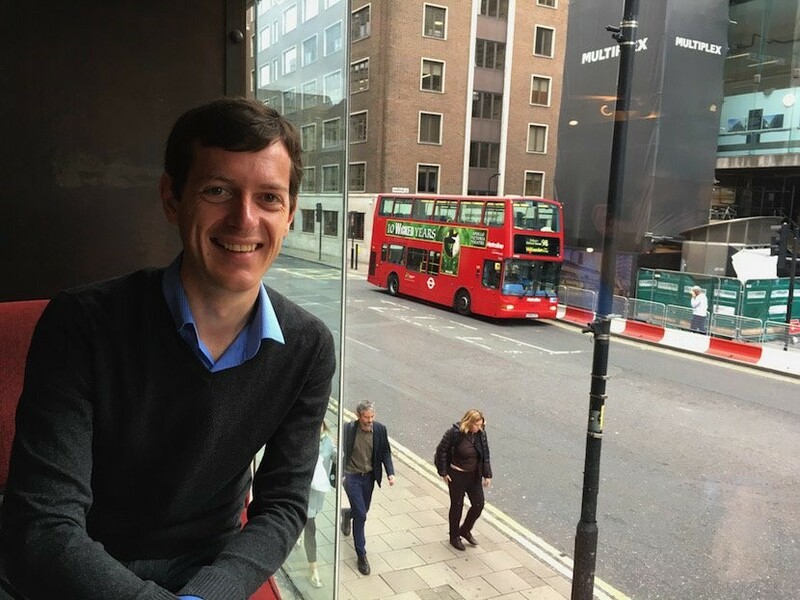 I was chatting with Steve via WhatsApp in the last week, talking about travelling and Singularity University and all the interesting things happening in the world. So we are still on very good terms even though it never is comfortable leaving a highly performing team and the comforts that come with that, but we’ve both accepted now what has happened and we’re on a very good footing, so they’ll be fine, they’ll continue to be wildly successful I’m sure and hopefully I can say the same on our side. Singularity University, you’ve been there? I haven’t, Steve “Lips” has and it’s on my list of places to go to now on the West Coast of the US and it’s basically a university to think outside the box and to think about the future and what can be disruptive that we need to keep in mind that is important from an investment perspective specifically, that you don’t get caught in any obsolescence when it comes to certain companies and their position in the market, so thought provoking stuff. Yes, Peter Diamandis is in coompany looking at exponentiality, something that we understand in South Africa thanks to Naspers, but if you can find another one of those, that’d be great. So yes, if you want to have different outcomes in investments, you need to make different decisions and for you to make different decisions you need to think differently and Singularity University is very good in terms of teaching one to think outside the box and think differently.